This 1945 Ford V8 was built by the Colonial Motor Company and rather unusually for a NZ appliance, it was fitted with a John Bean high pressure pump. 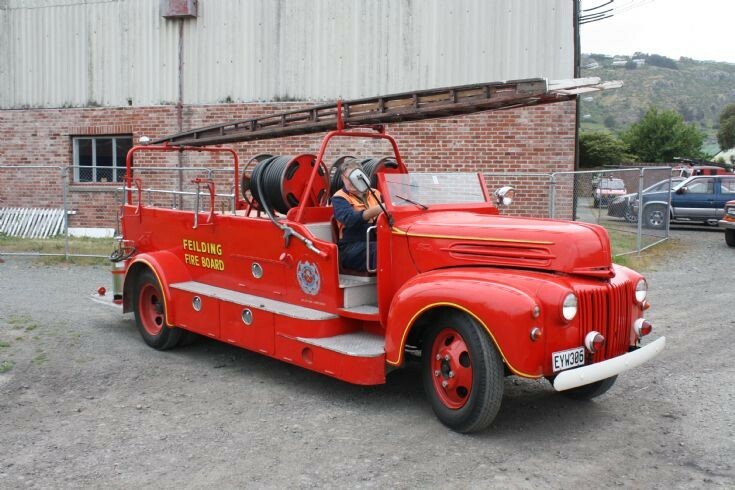 It served its life with the Palmerston North and Feilding brigades and now forms part of the Ferrymead museum collection. It was snapped in late 2012 during a reshuffle of the museum collection.